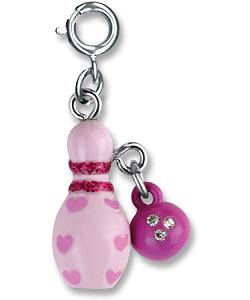 Add a splash of bowling finesse to your charm bracelet with this sporty CHARM IT! Bowling Girl charm. 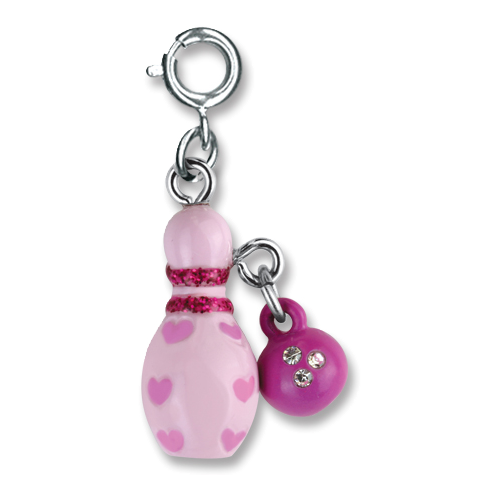 Along side a bowling pin of pretty pink enamel complete with darker pink hearts and glittery dark pink bands, this delightful Bowling Girl charm features a cute little bowling ball of hot pink enamel with sparkly acrylic stones, perfect for adding fun and personality to your charm bracelet. With a simple snap of a clasp, you can personalize your CHARM IT! jewelry with this whimsical CHARM IT! Bowling Girl charm. This sporty Ice Skate charm features a shiny silver boot covered in colorful enamel and delightful details.